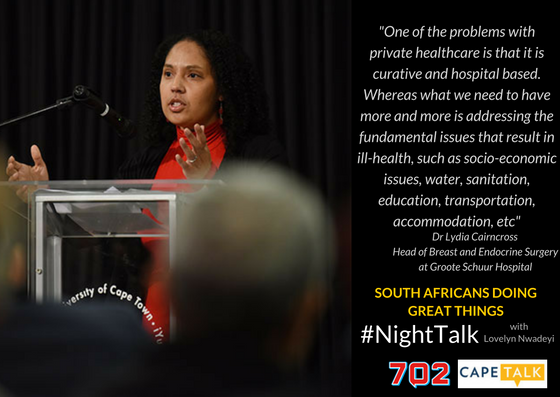 Dr Lydia Cairncross is a health practitioner who believes in the need for South Africa's healthcare system to look beyond curative and hospital care in its treatment of patients. 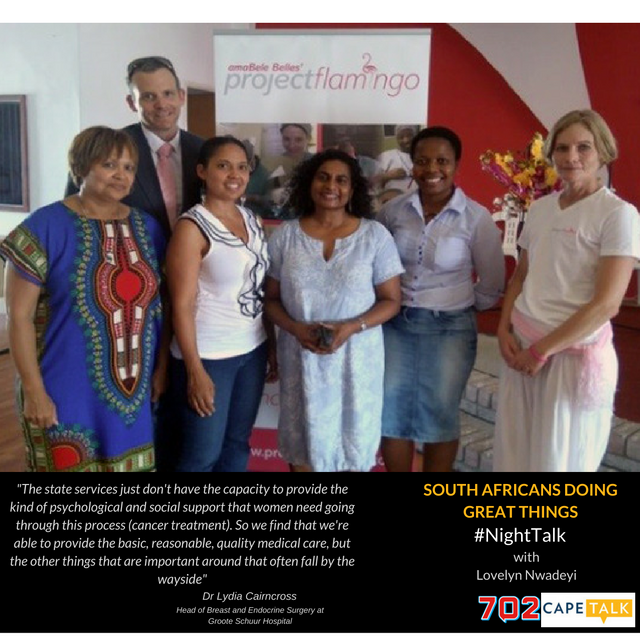 As Head of Breast and Endocrine Surgery at Groote Schuur Hospital, Dr Cairncross has experienced the challenges of the country's public healthcare to be of full service to citizens. Her experience with the People's Health Movement has also put her in direct contact with citizens and other health practitioners who engage on how the country's health system can be improved. 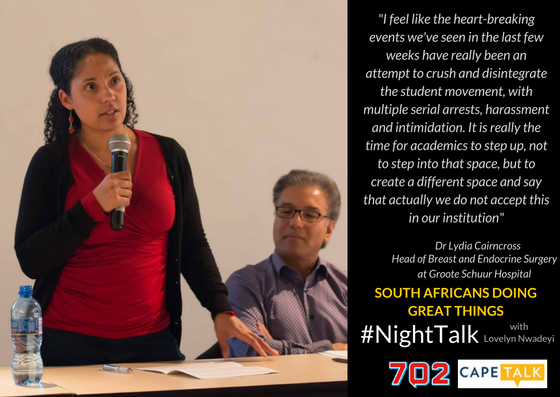 Speaking to #NightTalk's Lovelyn Nwadeyi, Dr Cairncross believes that the #FeesMustFall movement and institutional issues experienced in the country's institutions of higher learning show that citizens in the country are not yet free from the impact of apartheid. Analysing the situation between students and policing authorities in the protests for free education, Dr Cairncross believes that there is an opportunity for academics to rise and lend their voice to end the violence that has affected the protests. Zuko Tisani is also the founder of a company called Legazy Technology Conferencing and is a South African doing great things. Diederick Stopforth is the perfect example of the phrase "not all heroes wear capes". Kodumela Bokamoso has been established as a response to the growing need to develop leaders within rural communities. You can make a living from your art. The Word N Sound platform encourages young talented poets to pursue careers in their craft.